Our technically advanced, kitemark approved pvc-u profile presents a slim smooth appearance. Its 45-degree bevels dispel water easily while the integral gaskets contribute to the product receiving a severe weather rating. It has a BBA approval for product security. The product is made with non-flammable pvc-u which does not split, warp, rot, bend or crack. Our RESIDENTIAL DOOR RANGE is available in a huge variety of styles to suit every application: front, side or rear with either panelled, half glazed or fully glazed. The glass itself can also be clear, patterned or stained. Internal beads and the use of galvanised steel reinforcement makes the doors extremely secure. Add the option of adding hookbolts for extra security for those vulnerable areas. It is fully compatible with the rest of the window range and has an option for an aluminium low threshold for easier access. Available in white, woodgrain, light oak and various colour finishes and beads. 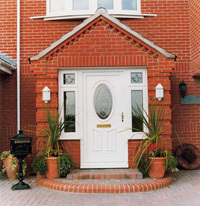 The FRENCH DOOR RANGE is available in a variety of styles to suit your requirements. Either opening inwards or outwards and with or without midrails as well as various glazing options. 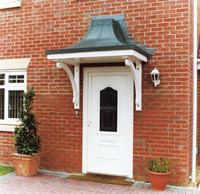 They are a multi chambered construction with internal beads, include three hinges and galvanised steel is used as standard. The french door range is fully compatible with the window range and available in white, woodgrain light oak and various colour finishes and beads. The SLIDEX SLIDING PATIO DOOR has excellent insulating properties and is an extremely practical system that is fully compatible with the rest of the window and door range making it ideal for conservatories, sunrooms and porches. 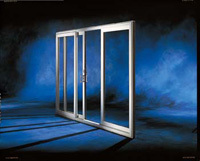 It is available in 2, 3 and 4 pane options and a low threshold option is available for easy access. Patio Doors come with the internal leaf sliding, internal beads and a high security lock with four hooks making it one of the most secure patio systems on the market. White, woodgrain,light oak and various colours are available.